Have you ever wondered about how you should clean your coins? Here’s the answer for you – don’t clean your coins! While it is instinct make old things look shiny and new again, like many people do with their antique cars, in the coin industry it’s best to let a coin stay in its natural state. 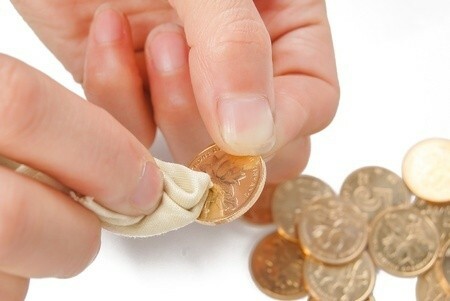 Surprising to some, a simple cleaning can wreak terrible damage to a coin and permanently alter its natural appearance. There are many 19th-century coins that were cleaned way back in the 1800s that, to this day, still have detectable traces of its decades-old cleaning. To understand why cleaning coins is so harmful, it’s important to understand the value of patina – the natural layer of toning that a coin acquires over the course of many years. This patina is actually the metal’s method of protecting itself against the environment. On copper coins, the patina usually is a light brown to deep chocolate, based on the age of the coin or its precise metallic composition. Silver coins usually take on a light grey to deep brownish grey, with darker hues in the recessed portions of the coin. Nickel coins may acquire a soft grey to dark grey, with darker toning in more protected areas of the coin. Gold is generally the least reactive of metals in the coin realm, and older gold coins usually acquire a soft or warm yellow color over time. As you would guess, environmental fumes or other ambient agents may alter the way a coin changes in color over time. In the end, the coin collector favors the natural appearance of the coin over a piece with altered surfaces. There’s a reason that a cleaned coin is often worth less than half its original, undamaged value – numismatists simply don’t want them. Many will even turn their noses up at a rare, cleaned coin from the 1790s or early 1800s if a more expensive, original version is available or soon might be. Sometimes, cleaning coins does much more than remove its original coloration. In fact, in most cases, anything more than a simple surface rinsing with water to dislocate loose debris will actually remove tiny bits of metal from the coin. Abrasive coin cleaners, such as baking soda, toothpaste, jewelers rouge, and acids will literally remove the upper surface of the coin, leaving it in an irreparable state. Coins cleaned in such an abusive manner have an unnatural reflectivity, and upon close inspection with a magnifying glass countless striations and hairlines can be seen scarring the surface. Sometimes these hairlines will be evident with the naked eye. Ultimately, the thrust of this message is to encourage coin collectors to avoid cleaning their coins. An old coin in its natural state is like a fine, aged wine of a vintage from a far earlier time. Indeed, in the eyes of seasoned numismatists, a dark-hued silver dollar of 19th-century vintage is far more satisfying to own than a shiny, worn, cleaned coin with thousands upon thousands of hairlines.